Extra long cotton stockings, One size fits most. Available in White or Black. These have a wonderful openwork design centered on the foot and front of the leg. Based closely on extant examples, the design starts with a charming tree shape at mid-calf and continues down to the top of the toe. These also feature a simulated seam running along the back of the leg. 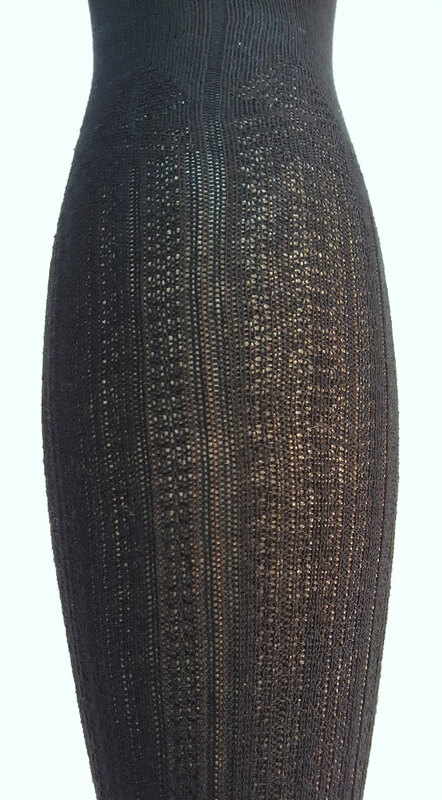 Styles of openwork patterns began to appear in stockings near the beginning of the 19th century. They continued to change and elaborate into the early 20th century. Embroidered openwork and lace inserts in both silk and cotton were seen on many fashionable feet throughout these years. From Regency to Victorian and into the Edwardian Era this style was quite popular, as evidenced by the many extant examples surviving in museum collections today.